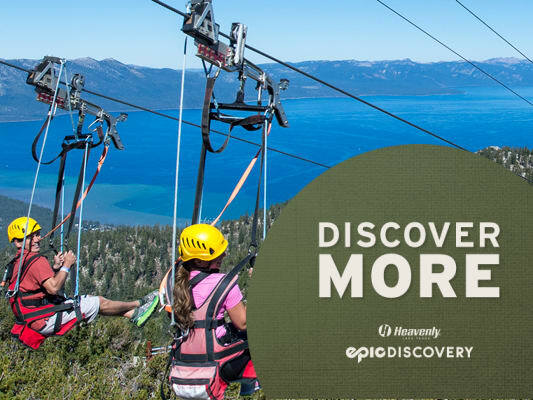 Enjoy incredible views of Lake Tahoe as you glide through the sky on Heavenly's two parallel 3,300 ft-long zip lines. With top speeds of 50 MPH, this is a great way to experience the most spectacular views in the area with a starting elevation of around 10,000 feet. Activity Restrictions: Closed-toed athletic shoes are required for all activities. Must also purchase a Scenic Gondola ticket or Ultimate Adventure Pass.